We are proud to now offer our Real Estate Investing Mentorship Program designed to help you Flip More Deals! 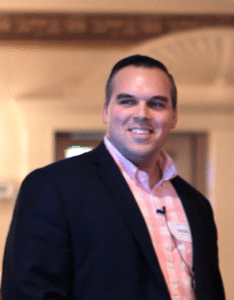 Whether you are just getting started and looking to close your first deal or you’re a seasoned veteran at REI and just looking for the extra edge, our custom-tailored Flip More Deals Mentorship Program could suit you well. Unlike many of the other programs available, our program is a hands-on, partnership-style program delivered both one-on-one and in a group setting, either in-person or virtually. The program is designed specifically to empower our students to do real deals in record time and Flip More Deals! As a student of the program, you will be mentored by an experienced investor for a minimum of 1 hour every week for 3 months, 6 months, or 12 months to continuously review and improve the processes and systems in your business to get more checks in your hands and Flip More Deals! Students will have access to a private workspace containing all materials and content needed to be a successful real estate investor. Moreover, our mentors will help you process real deals and guide you throughout the whole process to ensure you have the best chance of closing a deal ASAP after signing up and to keep those checks coming in! Please note that this program is very exclusive & space is limited since it is custom-tailored to our students’ needs! 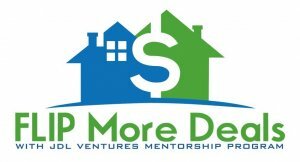 If you are interested in joining the Flip More Deals Mentorship Program to jumpstart your real estate investing business and Flip More Deals, please fill out the Mentorship Application and visit FlipMoreDeals.com !! !